Next Monday, the Israeli High Court of Justice will deliberate on a petition against the Jewish National Fund (JNF) by Adalah - the Legal Center for Arab Minority Rights in Israel and the Association for Civil Rights in Israel (ACRI). Their demand is to revoke the provision in the JNF's charter whereby it is not allowed to hand lands over to anyone who is not Jewish, on the grounds that this provision discriminates racially. The Jewish National Fund (in Hebrew Keren Kayemet le-Israel - KKL) holds 13% of all the land in the Zionist state. Its statutes explicitly prohibit the sale or rental of land to non-Jews. The JNF was founded at the Fifth Zionist Congress, held in Basel in 1901. Its aim was to redeem lands in Palestine for Jewish settlement. These lands, according to Theodor Herzl, were to be the "eternal property of the Jewish people." And as though he had foreseen the debate that was to take place 106 years later, he stipulated: "The Jewish people will be not only the founder [of the JNF], but also its owner in perpetuity. In that way, use [of the lands] for aims other than the founders' will be prevented." In every Zionist home around the world a blue collection box was hung up. In every classroom in Jewish schools, children were urged to drop their coins into the box. In Jewish schools in pre-state Palestine, JNF trustees were appointed, whose job was to encourage donations, for example by organizing fund-raising competitions between classes and between schools. The blue box became a symbol of the Zionist movement, perhaps the most prominent. With the money thus collected, a lot of land was acquired, on which Kibbutzim and Moshavim were set up. That was the height of Zionist idealism. The "Redemption of the Land" and "Hebrew Labor" were the cornerstones of the Zionist dream. However, this story had a dark side, which was not registered in Zionist consciousness. The land was indeed bought, often at exorbitant prices, but from rich absentee owners, who did not live on it or cultivate it. When the late Ottoman Empire was bankrupt and in dire need of money, it sold huge tracts to rich Arab merchants in Jaffa, Beirut and other cities, who bought them as an investment. The Arab Felaheen (farmers), who had tilled the land for many generations, were mere tenants. When the JNF bought the land, the Felaheen were driven out, often with the help of the Turkish, and later the British police. In spite of all these efforts to buy up land, when the United Nations resolved in November 1947 to partition the country between a Jewish and an Arab State, less than 7% of the land belonged to Jews. Only a part of this area belonged to the JNF, the rest to private Jewish owners in the towns and the agricultural "colonies". With the founding of the State of Israel, the new state transferred to the JNF millions of dunams of land expropriated from Arabs - the refugees who were not allowed to return ("absentees" in legal language), those who had remained in the country but were absent on a given day from their villages ("present absentees"), as well as Arabs who became citizens of Israel. 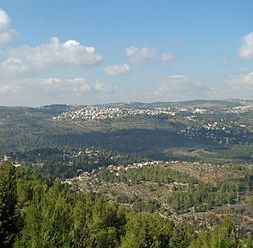 Many Zionists seeking to uphold the JNF's policy of discrimination have claimed that the JNF land was bought with the money of the Jewish people. However, the truth is that the greater part of the present JNF land was not bought at all, but conquered in war and transferred to the JNF. Some analysts have suggests that the state transferred its newly conquered land to a non-state entity, the JNF, precisely for the purpose of allowing the discrimination to continue.